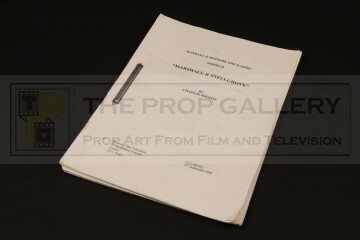 An original script used in the production of Randall and Hopkirk (Deceased) starring Vic Reeves and Bob Mortimer, the 2000 remake of the 1969 television series of the same name. 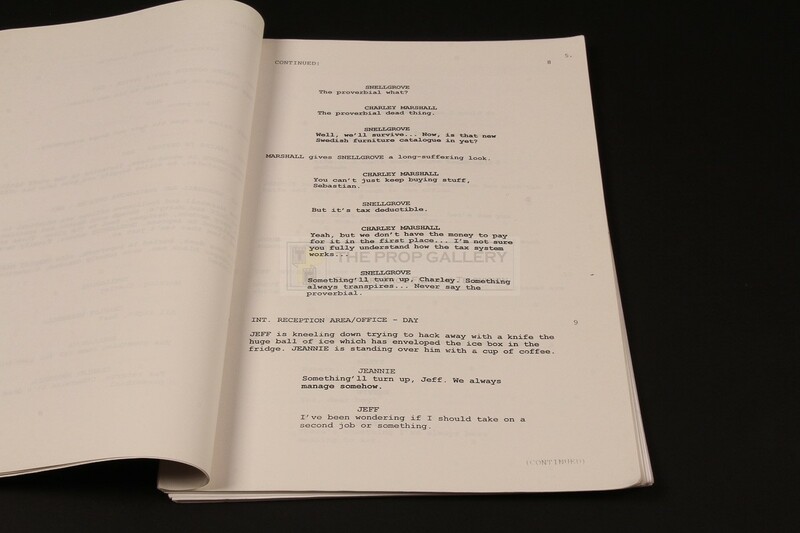 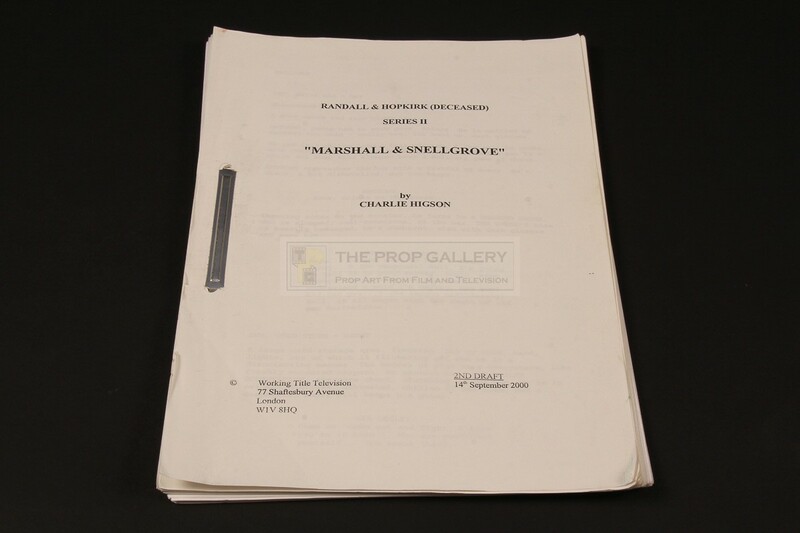 This is an original production script for the Series II episode Marshall & Snellgrove, the second draft script dated 14th September 2000 comprises of 61 pages bound by a metal clasp. 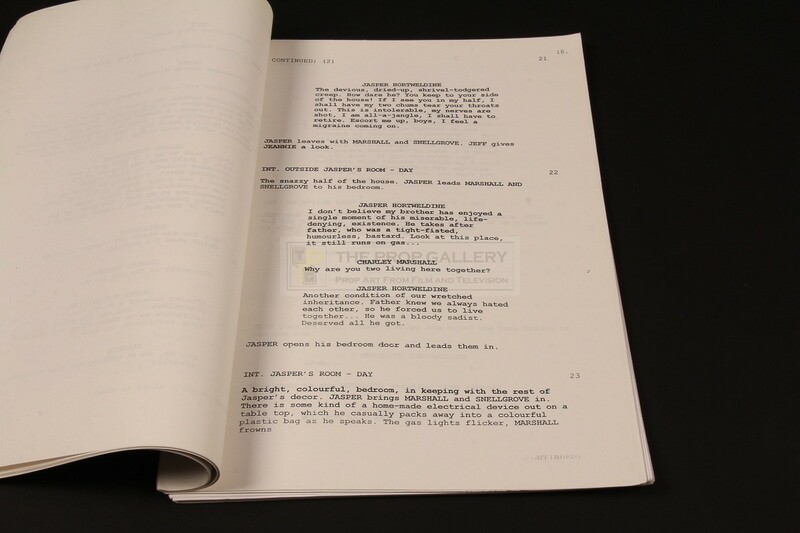 The script features several minor hand inscribed markings relating to special effects requirements and remains in excellent condition with some very minor edge wear, overall fine. A rare example of original production material from this well received television series.